With Matosinhos beach just 30 meters way from the NOS Primavera Sound entrance, the wide expanse of golden sands is perfect for chasing waves and eat the best fresh fish in town. But it's not the only one! Porto is sandwiched by and often scenic stretch of Atlantic coastline, home to many glorious sandy beaches that seemingly stretch on forever. There's plenty of space to stretch out and a beauty that is impossible to ignore. Just don't go and tell everyone cause some these hidden gems should be kept secret! It is by a road with forest on both sides that we reach this beach, where it is still possible to find peace and quiet, even in the summer. Located in a forest area, is by a dirt road that we arrive at this small piece of paradise. Sea ahead and pine forest behind. 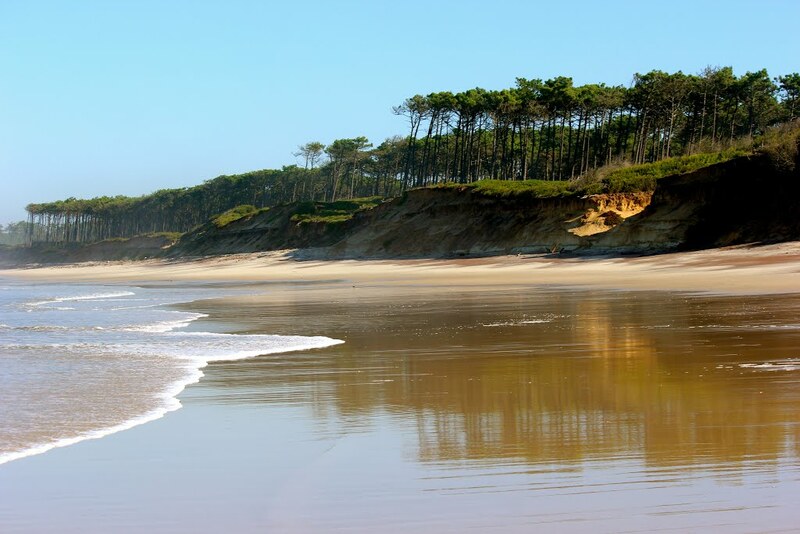 The beach of São Pedro de Maceda is 11 kilometers from the center of Ovar, a municipality that offers other beaches worth visiting: Esmoriz, Cortegaça, Furadouro or Torrão de Lameiro. Close to where the Douro River meats the Atlantic Ocean, Praia da Luz not only is this a nice stretch of sand, but it’s also a somewhat hidden spot with a beautiful esplanade restaurants. As the ‘Beach of Light’, it was named after the patron saint of a chapel that once resided there; the saint was known as "Our Lady of the Light". Quite possibly the most romantic beach in the north, Praia do Senhor da Pedra has become popular because of the isolated Senhor da Pedra Chapel. 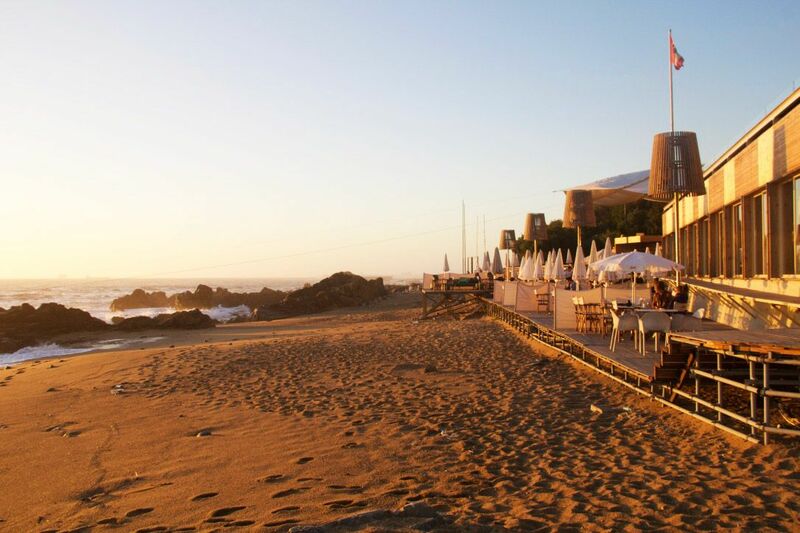 Located in Miramar, approximately 14 km (8.7 miles) south of Porto, it is a well-known and well-visited beach year-round. You are almost guaranteed to have huge swathes of the beach to yourself, even in the height of summer. 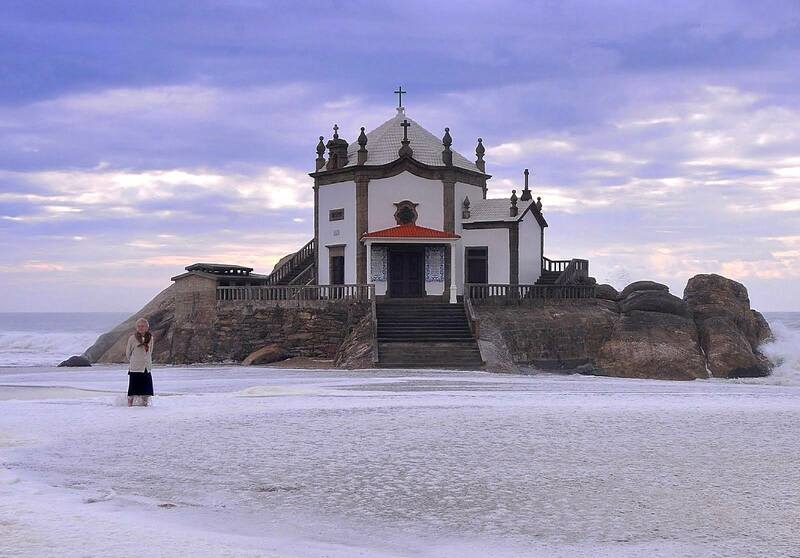 On a rock at the water's edge, there is a little white chapel, Capela do Senhor da Pedra, which is celebrated in a festival every June.